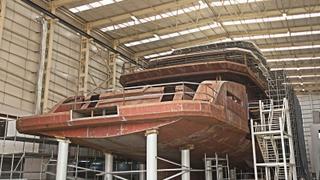 Turkish shipyard AES Yacht has released the first in-build pictures of its 68 metre superyacht Days, which is due to hit the water in Istanbul next summer. 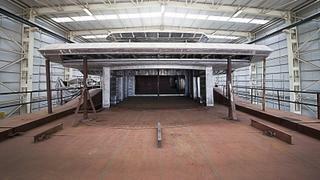 As the first in-build photos below reveal, her steel hull and aluminium superstructure are largely complete. 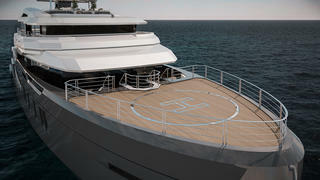 The design for this four-deck displacement yacht was unveiled at last year's Monaco Yacht Show. Turkish firm Endaze Marine Engineering will be taking care of the naval architecture, while the owner’s representatives are Jacques Potgieter and Iain Flockhart. Days has been styled inside and out by Hot Lab and the design studio describes the décor as “minimalistic with an elegant and warm feeling due to the use of refined materials”. Accommodation for up to 12 guests is split across six cabins, including an upper deck owner’s suite, which benefits from private access to the skylounge. 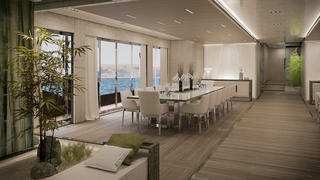 Crew accommodation for 18 is situated on the lower deck, with a captain’s cabin on the bridge deck. 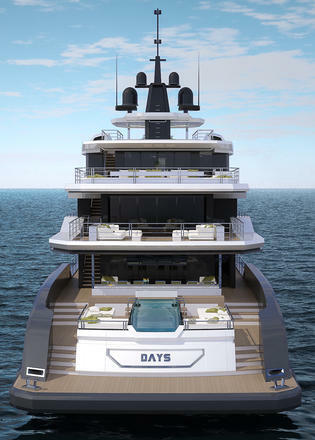 Notable features on board Days include a superyacht gym, beach club and 2.7 metre headroom across all three decks, creating a voluminous interior of around 1,800GT. In the superyacht garage, Days can store a nine metre custom tender and an eight metre crew tender, while the foredeck includes a superyacht helipad. Power comes from a pair of 2,000hp Caterpillar 3516C diesel engines for a top speed of 17 knots. When trimmed back to her cruising speed of 14 knots, Days will have a maximum range of 5,000 nautical miles, thanks to a total fuel capacity of 171,026 litres. AES Yacht added that it plans to produce a range of explorer yachts under the Ice Yachts brand, ranging from 65 to 75 metres in length.